Aputure's Bowens S-fit LED head has been upgraded, with increased output and improved design. 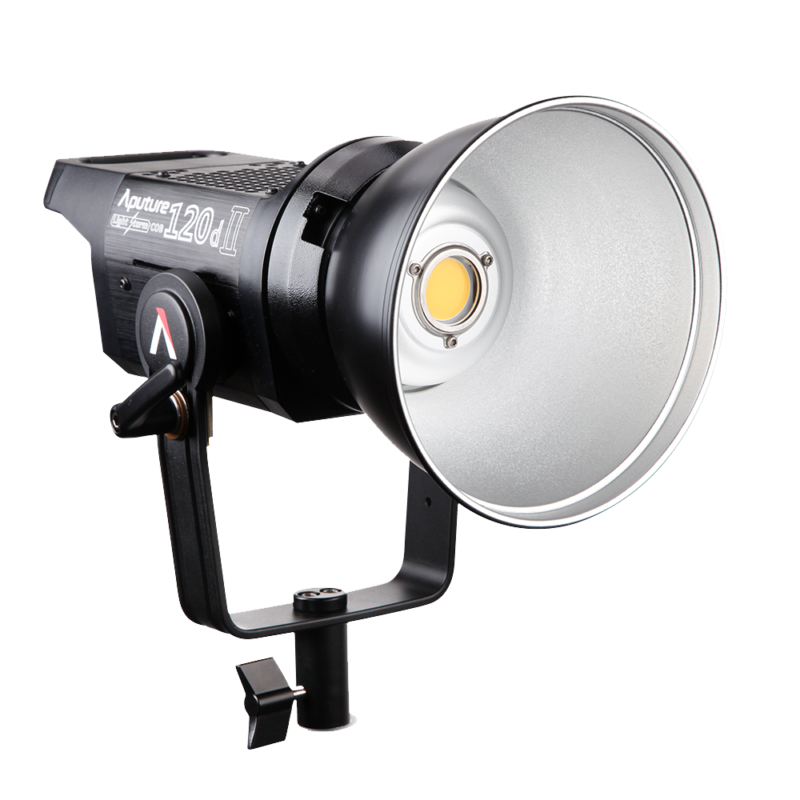 Aputure has announced the Light Storm C120D II, a ‘completely redesigned’ version of their popular 120D chip-on-board Bowens-mount LED lamp. According to the manufacturer, the LS C120D II is ‘25% brighter’, has a television lighting consistency index (TLCI) of 97+ and now has DMX control. Other upgrades include cables that lock in place and a new yoke that provides a wider, 330° range of motion. The 120D is a 5500K daylight-balanced LED lamp with adjustable output. The standard Bowens S-type bayonet means it can be used with a wide range of existing lighting accessories, making it easier to use the same gear for stills and for video, and making it easier to produce different lighting effects, compared to a rectangular LED panel. The LED technology does not produce as much heat as more traditional hot lamps and produces much more light. For more information, visit the Aputure web site. Pre-order now for $745 for a single kit at Adorama and B&H Photo.